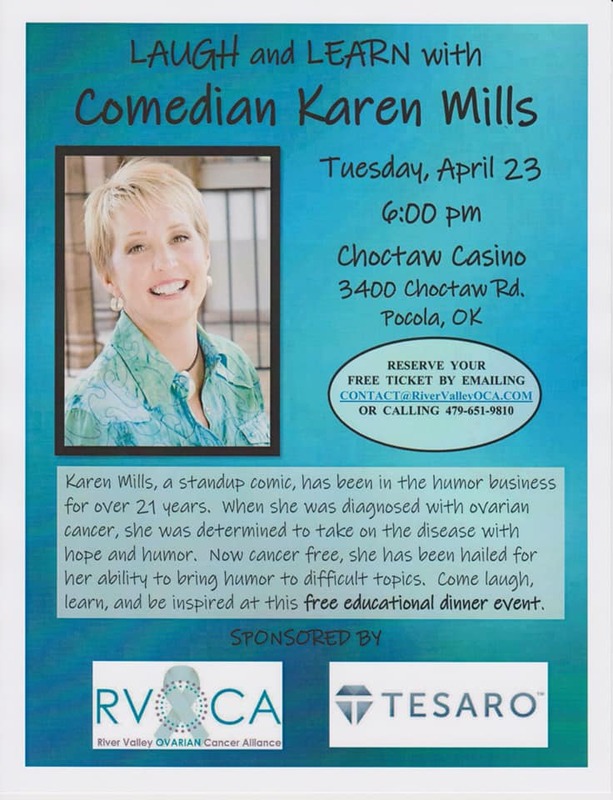 Come enjoy a night of good food, laughs and education with Comedian Karen Mills! Karen Mills, a stand-up comedian, has been in the humor business for over 21 years. When she was diagnosed with Ovarian Cancer, she was determined to take on the disease with hope and humor. Now cancer free, she had been hailed for her ability to bring humor to difficult topics. Come laugh, learn, and be inspired at this free educational dinner event. Sponsored by Tesaro.